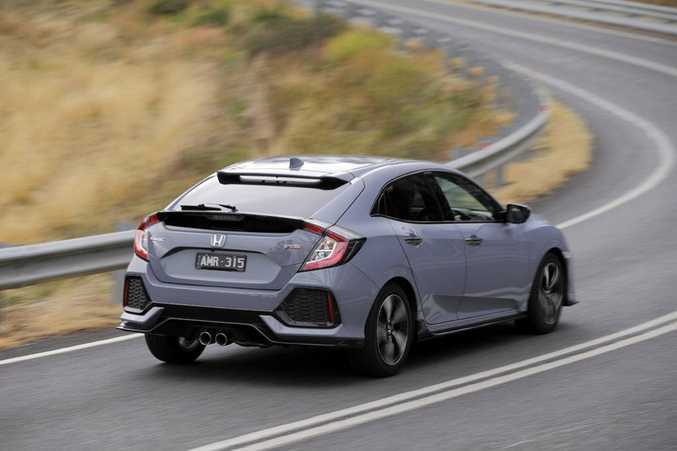 ALL EYES: New Honda Civic hatch should build on the sedan's sales success, a model which has proved a much needed boost for Honda in Australia in the past 12 months. HONDA's all-new Civic hatch has gone on sale with prices starting from $22,390 and up to $33,590 across five different grades. 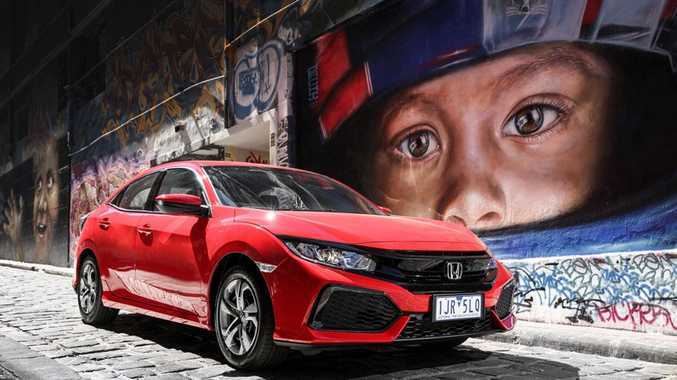 The new model follows the tenth-generation Honda Civic sedan's launch in Australia exactly 12 months ago, a car which has proved a huge sales success for the brand. In private sales between May 2016 and April 2017 in the small sedan segment, only the Mazda3 has sold more than the new Civic. Mirroring the sedan's model range, the Civic hatch arrives in VTi, VTi-S, VTi-L, RS and VTi-LX grades. 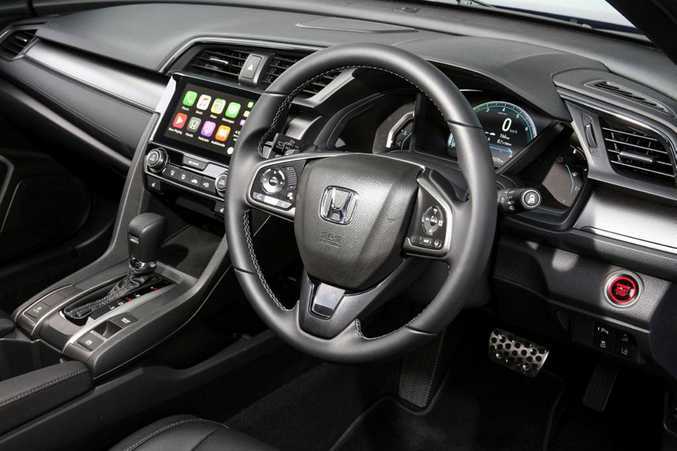 The two entry level grades use a naturally-aspirated 104kW 1.8-litre petrol engine, while the others utilise Honda's Earth Dreams 1.5-litre turbocharged petrol engine good for 127kW. All cars feature a CVT automatic transmission. 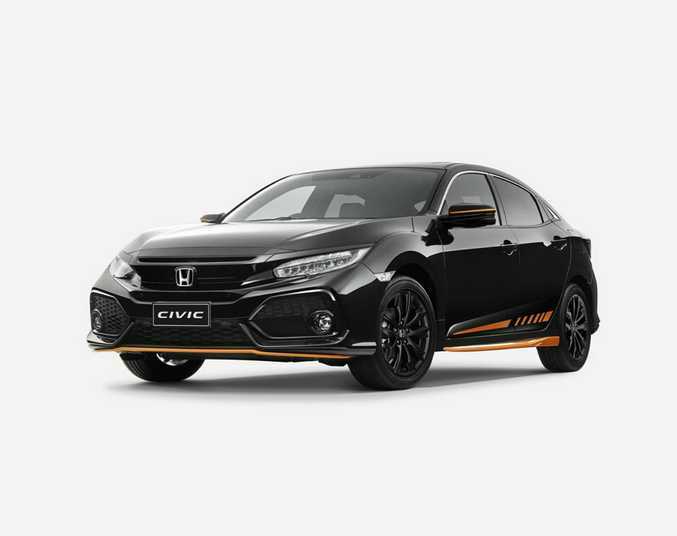 A special launch edition accessory package called "Orange Edition" is being offered on the new Civic Hatch, limited to 100 kits. For a recommended fitted price of $2998 you score an orange front under spoiler, orange door and mirror decal set, orange side skirts, orange rear under spoiler and black 17-inch alloys. It is available on all grades bar the RS. A Black Pack is also offered for the same price (also no available for RS), bringing black to the front and rear under spoilers, mirror covers, side skirts and 17-inch alloys. The long-awaited Civic Type R hot hatch is due to arrive in Australia later this year. We'll have a full review from the new Civic Hatch's launch drive in coming days. Engines: 1.8-litre four-cylinder petrol with104kW/174Nm (VTi and VTi-S); 1.5-litre four-cylinder turbocharged petrol with 127kW/220Nm (VTi-L, RS and VTi-LX). Bottom line (plus on-roads): $22,390 (VTi); $24,490 (VTi-S); $27,790 (VTi-L); $32,290 (RS); $33,590 (VTi-LX). Warranty and servicing: 3 year/100,000km. 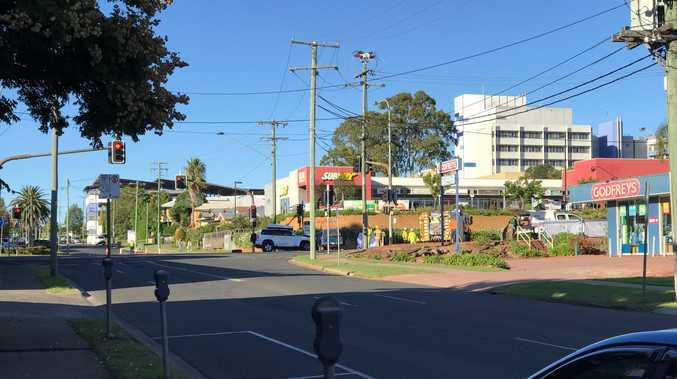 Service intervals are every 10,000km or 12 months, services cost $843 over three years.